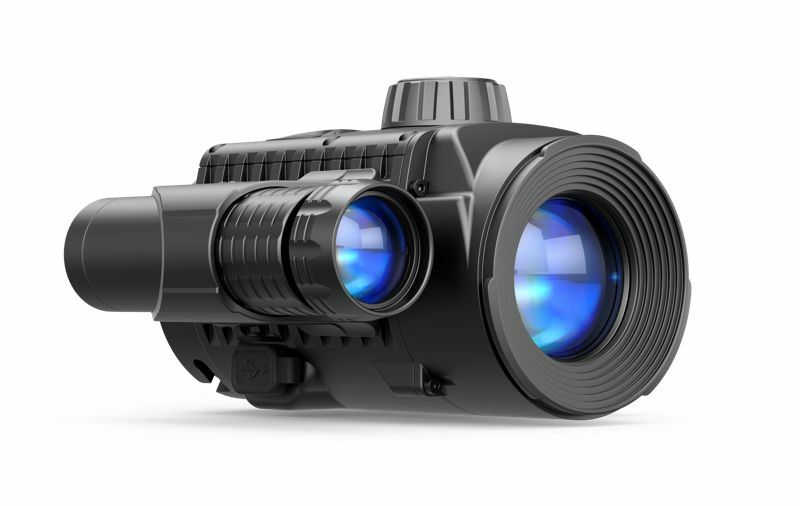 Get the advantage with the Forward F155 inline front-of-scope night vision add-on from Pulsar. 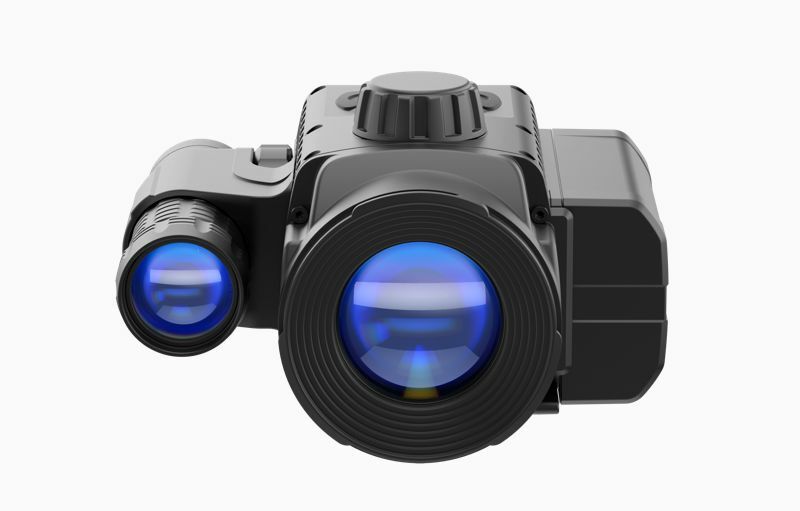 It has been designed to fit at the front of your day scope (with an optional scope adapter) and convert it to a digital night vision scope. The main advantages are that you do not need to upset your daytime shooting setup and, with it being at the front, it doesn’t affect your scope’s eye-relief. Plus you have full use of your rifle scope’s variable magnification. 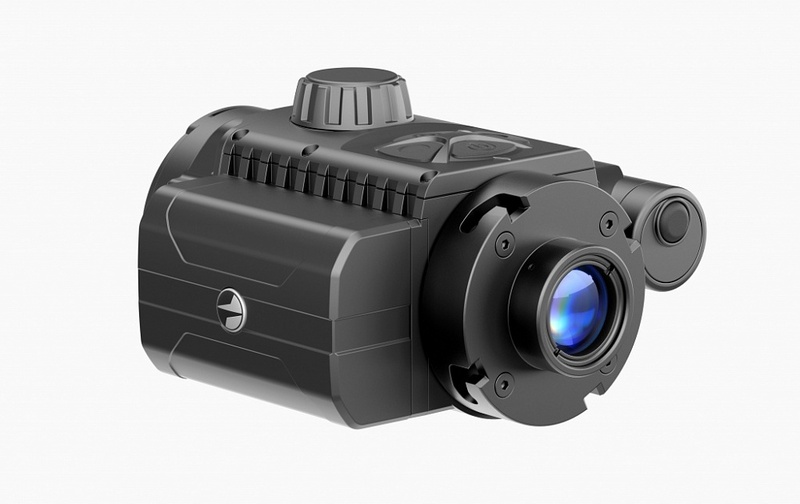 Unlike Pulsar’s original front-mounted digital add-on, the DFA75, the F155 does not require you to make adjustments to compensate for the add-ons camera sitting above the line-of-sight of the scope. The F155 is totally inline (similar to the Core thermal add-on), which makes it much easier to use. 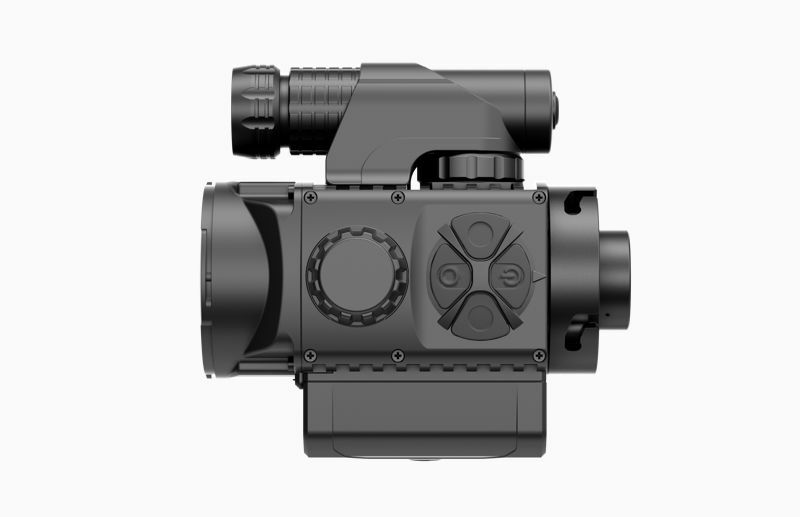 The Forward F155 is packed with useful features, such as a focusable infrared illuminator with 3 power modes; Stream Vision (mobile phone integration with WIFI live internet streaming and remote control); built-in video recorder to capture video and still images, which can be transferred to a PC or laptop via Wi-Fi; multiple power supplies can be used and an external USB power bank can be used to power the F155 and charge the detachable power pack; wireless remote control that allows you to control the F155 wireless without having to touch the night vision device and it is fully waterproof, rated to IPX7, so is able to perform well in wet weather and in a wide range of temperatures with its frost-free AMOLED display. Various sizes of scope adapter are available, so you’ll find the right one to fit onto the front of your scope. This adapter will remain on your scope during daytime use (a lens cap is included in order to protect your objective lens. As darkness falls, the F155 can be quickly attached to the scope adapter to give you a quality night vision setup. Capturing still images and video is seamless with the Forwards built-in video recorder. 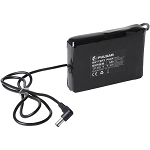 Image and video content is stored internally and can easily be transferred to PC/laptop via wired connection or Wi-Fi.